This is Belgrade’s foremost meeting place. They say it’s one of the most beautiful pedestrian streets. Initially, the streets used to be private property, but communist rule saw the streets taken from the families who owned them. The houses that belonged to these families are still there though; and they’re very beautiful. Stores, bookstores, restaurants and cafes operate out of these offices now. Many hotels and hostels fill the area surrounding the street. Many of Belgrade’s foremost attractions are close: for example, the Serbian Academy of Science and Art (SANU), the Vapiano restaurant (definitely eat there); the Zepter museum; the national theatre; the National Museum. Most of your time on this street will be spent shopping and people watching. How popular is Knez Mihailova? 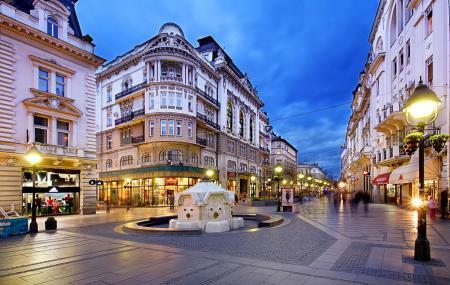 People normally club together Terazije Square And Fountain and Skadarlija while planning their visit to Knez Mihailova.